Ticks are commonly found on the Coffs Coast and they can be deadly to your dog. It is essential that dog owners are familiar with the symptoms and dangers that paralysis ticks impose on their beloved pets. Contact us on 66523455 so that we can help customise a tick prevention program which best suits your lifestyle and budget. Tick paralysis affects around 10,000 dogs each year in Eastern Australia alone. Your dog doesn’t have to be in the bush to be bitten, paralysis ticks can be in your back yard. Depending on your dog’s breed, ticks can be difficult to spot even if you’re vigilant. Once you start to see tick paralysis symptoms, your dog is in the danger zone and veterinary treatment is required immediately. How does a tick bite cause paralysis in my dog? When a paralysis tick attaches itself to your dog it releases a toxin which enters the nervous system which has potentially fatal consequences. What are the signs of my dog having tick paralysis? Signs that your dog has been bitten by a tick include:- change in voice, change in breathing (may become shallow, deep or laboured), coughing, vomiting, change in gait including wobbliness or staggering, unable to use back legs and unable to stand up. What should I do if I suspect my dog has tick paralysis? If you suspect that your dog has been bitten by a tick then you need to keep your dog calm, cool, quiet, restrict any food or water intake and contact your veterinarian immediately as deterioration happens fast. How do I tick search my dog? Use your fingertips starting at the nose and methodically work your way all over the entire surface of your dog’s body. Remember to check the lips, around the eyes, inside the ears, between the toes and all over the tail. You will usually find a little lump or crater and the tick may still be attached or may have dropped off. Ticks can be as small as a pin head and increase in size as they fill up with blood the longer that they are attached to your dog. 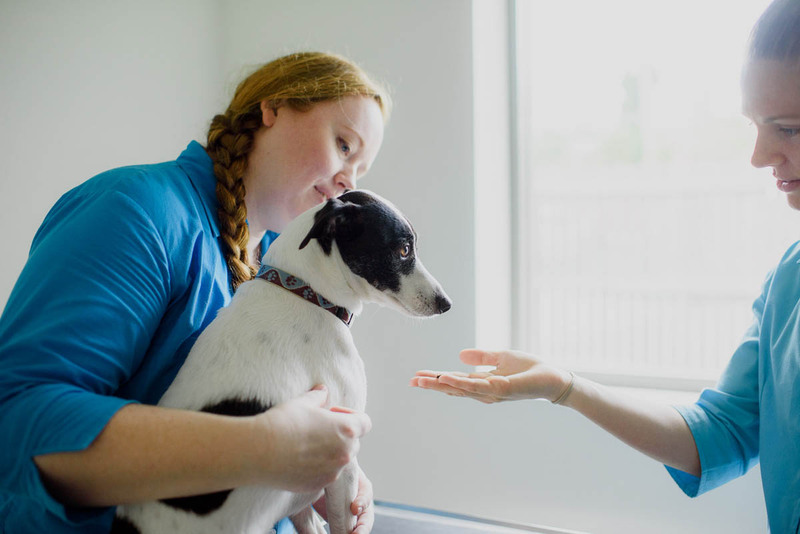 Our friendly staff are happy to demonstrate how to effectively tick search your dog call us on 66523455 to arrange a time to see one of our nurses. How do I help prevent my dog from being affected by tick paralysis? Tick prevention products and daily tick searches are the most effective way of reducing the effects of tick paralysis because they help to reduce the amount of time a tick is attached to your dog hence limiting the amount of toxin a tick releases into your dog’s system. Our friendly staff are happy to advise you on the different tick prevention products available and teach you how to effectively tick search your dog. We can help tailor a tick prevention program that best suits your budget & lifestyle, please call us on 66523455.